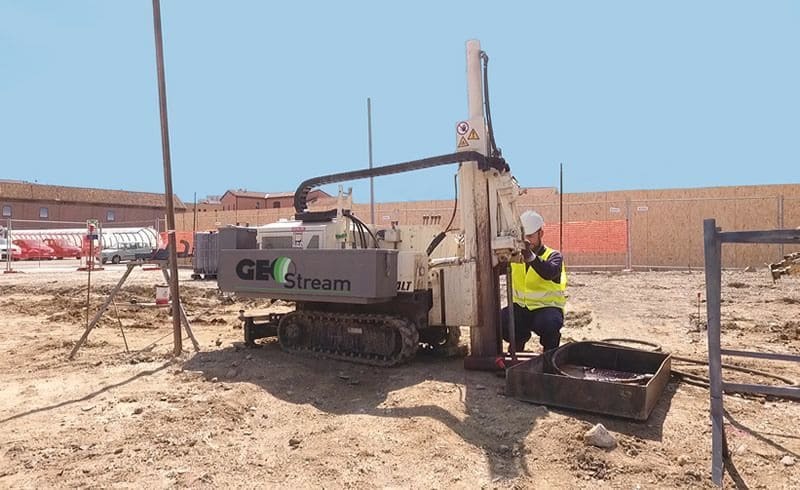 GeoStream Italy is in the process of remediating the site of a former gasworks plant in Bologna, Italy. Work on the 30,000m3 remediation area is being carried out for a major Italian utility company, which operates in northern and central Italy. Since its establishment, the group has become one of Italy's largest local utilities providers and operates mainly in environmental (waste collection and treatment), energy (distribution and sale of electricity and gas) and water services (waterworks, sewerage and purification). The important group has over 8,500 employees and provides services to more than 3.5 million citizens. The business’s main offices are located in Bologna adjacent to the city’s railway station on the site of a former gasworks plant. The site is under redevelopment, with GeoStream Italy and Semataf completing remediation activities in the area on the basis of an approved remediation plan. During remediation works, GeoStream has been providing in-situ chemical oxidation (ISCO), using RemOx S. Carus ISCO technology, which was selected through an international bidding process due to its high product quality and competitive pricing. Currently six injection rigs are completing the on-site injection works onsite. RemOx S is provided in a closed cycle-bin, with automatic on-site mixing to ensure safe handling and to minimise exposure to the chemical. The local authority is constantly monitoring and assessing the site during the initial remediation works and the first results are expected in early 2018.